Almost one year ago today, we laid out the nightmare scenario for Microsoft (MSFT) that could lead to its business collapsing. After laying it all out, we concluded, "Fortunately for Microsoft, none of this is going to happen." A lot changed in the last year. Microsoft's nightmare scenario is actually starting to take hold. We're revisiting our slideshow from last year to see how things have played out. Each number that follows has one piece of the nightmare scenario for Microsoft and an explanation of where Microsoft stands in comparison to that hypothetical situation. -- NPD says Windows tablet sales were "nonexistent" between 10/21 and 11/17. -- It also says Windows sales were down 21 percent over that period on a year-over-year basis. -- Piper analyst Gene Munster was in a Microsoft store for two hours on Black Friday and saw zero Surface sales. -- Microsoft reportedly cut its Surface order in half. 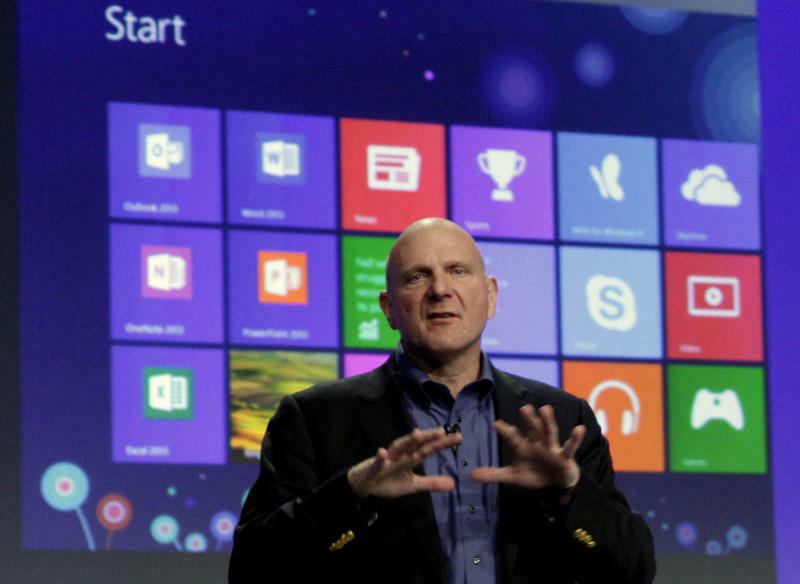 -- Ballmer said Surface sales were "modest."